You know it’s true—every time you rely on your traditional telephone provider to meet your long distance calling needs you get absolutely and properly well doinked. Of course, if you set your Rebtel voucher to work on the problem you could be making free or very low-cost phone calls to friends and family all over the world from your mobile phone, your laptop or your home computer. Rebtel was founded in May of 2006 by Hjalmar Windblach, former president and CEO of Sendit AB, who served for 7 years and succeeded in taking the firm public before it was acquired by Microsoft to the tune of one hundred and tweny-seven point five million dollars. 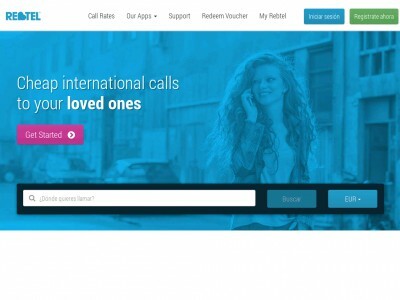 With the goal of providing free or low-cost international calling services to smartphone users worldwide without the hassle of installing software or staying connected to the internet, Rebtel has quickly stormed the VOIP space and grown rapidly over the past 8 years. In 2012, Rebtel launched the Rebtel SDK, and all of a sudden independent developers working on their own unique apps could quickly and easily integrate voice calling and instant messaging into the apps they were creating. And, while the Rebtel SDK currently supports app-to-app communication over data sharing services from 3G to Wi-Fi and utilizes the same back-end as Rebtel’s own in-house apps, developers do have the opportunity to independently design and operate ringtones, calling screens and other aspects of the user experience. By December of 2013 Rebtel reported a revenue of more than 80 million dollars and a dedicated customer base of 20 million users worldwide. Today, with the advent of “Sendly,” a new service for transferring prepaid mobile credit, Rebtel is preparing for a new era of rapid growth. Load up your address book, plug in your laptop and prepare to make a call. With your Rebtel voucher code close at hand, navigate to rebtel.com and click “Sign Up” to get started. If you’re a Rebtel regular, you can mosey right on through the initial stages by clicking “Log In,” or get all set up to save with your Rebtel offers by signing up with Facebook or entering your email address and phone number. Once you’ve signed up and your Rebtel offers have been credited to your account, cash in on those Rebtel voucher code savings by adding credit to your account in a 5, 10 or 15 dollar denomination. After you’ve selected the credit to be added your account, choose how you’d like to pay for your order and then continue on to enter your payment details. Ensure that your order summary reflects your Rebtel offers and then make your payment and proceed to a final order confirmation. Review your Rebtel order summary and if your Rebtel offers are intact, confirm your order and start dialing. When you’re cell phone bill’s been getting you down and you’re ready to flex that conversational muscle, collect your Rebtel voucher code and then head on over to rebtel.com and click “Sign Up” to begin. Of course, if it’s your first time at this particular rodeo, set yourself up for a very brand new account by signing up with Facebook or entering your email address and phone number, Rebtel offers in hand. After you’ve provided the initial details and you’re ready to redeem your Rebtel voucher code, enter your Rebtel voucher in the box labelled “Rebtel Voucher Code” and tick the box to agree to the terms of service before you select “Create my Account” to get started. After you’ve signed up, make sure you see your Rebtel offers appearing in your order summary, and then get ready to make real use of your Rebtel voucher code by filling up your account with Rebtel credit in either a 5, 10 or 15 dollar denomination. Once you’ve chosen whether you’ll start low or just go straight to the full 15, select how you’ll be financing this particular order, and then continue on to enter your payment details. Review your order and if your Rebtel offers are appearing in your order summary then you’re ready to take the plunge and make your payment before proceeding to a final order confirmation. Take a long last look at your Rebtel order summary and if your Rebtel voucher code savings are secured, well, then you’re ready to submit your order. Don’t forget to check them often, as you can never be sure when a free Rebtel Voucher might be waiting for you! Buy now online at www.rebtel.com. When my sister decided to go travelling around the world, I worried about the cost of staying in touch. But with a Rebtel voucher code we found that she could make free or cheap international calls from almost anywhere in the world – even if she didn't want to! Rebtel offers a range of connection options including WiFi, 3G and local numbers so you're almost always covered, wherever you are. All you need to do is visit rebtel.com and enter your Rebtel voucher to make big savings. I thoroughly recommend checking out the latest Rebtel offers to worried mums everywhere!